Registration is now available for Wexford University’s online doctoral degree in Applied Sport Psychology at http://wexford.edu/degree-programs/doctoral-degree-in-applied-sport-psychology/. Fall term classes in the doctoral program begin Sept. 27. While the weather and schedules might change for many people when fall arrives, the temperature is always perfect for Wexford University’s online doctorate degree in Applied Sport Psychology. 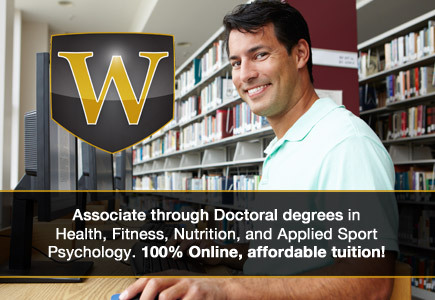 Online classes for both U.S. and international students are convenient, flexible and affordable year-round; fall term classes begin Sept. 27 and registration recently opened at http://wexford.edu/degree-programs/doctoral-degree-in-applied-sport-psychology/. A doctorate degree in Applied Sport Psychology is ideal for careers in administration, coaching, consulting, counseling and entrepreneurship, such as work in sports performance clinics, sports and fitness organizations corporations of all sizes, government agencies and nonprofits, and more. Wexford’s doctoral degree in Applied Sport Psychology is an extension of the university’s online master’s degree. Further, Wexford University’s doctoral program in Applied Sport Psychology also includes an internship or special project in the field.